The crankshaft sensor of your vehicle needs to be in a good condition to provide an optimal performance and accurate reading. This component is functional every time you use your vehicle. Therefore, there is a great chance of damage to different parts of this component, such as the wiring, the wheel, the pin, and the magnet. In the case of light damage to the wheel or the pin, the crankshaft sensor can still produce confused readings. If the wires are damaged you may experience fluctuations and your engine may hesitate. If the magnet is not calibrated, it can attract the metal shavings in the engine compartment and can cause the readings to increase incorrectly. 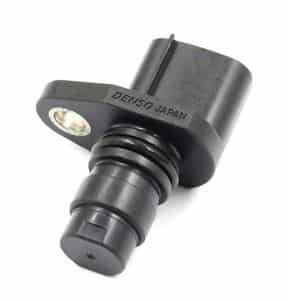 The crankshaft sensor can wear or fail due to continuous use over time. In such cases, the crankshaft sensor needs to be repaired or replaced. One of the important components of the engine management system of your vehicle is a crankshaft sensor or a crankshaft position sensor. The main task of this component is to analyze the position or the rotational speed or RPM of the crank. This component is essentially present in almost all of the modern automobiles along with the international combustion engine. The information that is generated by the crankshaft sensors is utilized by the engine control unit after being transmitted. This information exchange ensures an improved efficiency of the field injection timing as well as the ignition timing, which can be controlled to increase output. The two most important sets of information for the calculations pertaining to engine management are 1) the position and 2) the speed of crankshaft.in many modern vehicles if the crankshaft sensor is going bad or failing, the engine may not be able to run as the information and signals will not be transmitted. The most common symptoms of a bad or failing crankshaft position sensor are that your vehicle may not start or your engine will stop while driving. You can also experience misfires and a Check engine light flashing on your dashboard. The crankshaft position sensor can fail due to various reasons and its failure results in a number of engine related problems. Here are some of the common symptoms to help you determine whether or not your car’s crankshaft position sensor is damaged. The check engine light illuminates due to many reasons and one of them is the sensor failure. When the engine is running for a long time, the sensors stop working due to increased heat level causing the check engine light to illuminate. It is recommended to have your car checked by a mechanic to determine the root cause of check engine light. If you notice a loss in acceleration at high speed, this is due to a fault crankshaft sensor. What happens is that the engine control unit does not receive correct information due to the faulty sensor which causes a problem while synchronizing the engine pistons together. Moreover, incorrect spark timing and fuel injection adjustment also causes poor acceleration. Once the crankshaft sensor fails, the crankshaft position cannot be determined. 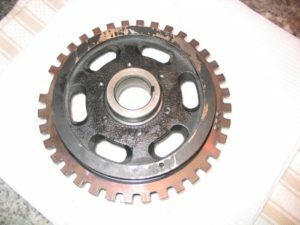 This may cause the engine to vibrate heavily, reducing the engine power and increasing mileage. Due to the faulty crankshaft position sensor, the spark timing and fuel injection are not carried off effectively causing a disturbance in the engine operations as well as loss in fuel efficiency. If you notice that your car is sipping more than usual gasoline, it may be due to the bad crankshaft position sensor. Once the sensor fails, the onboard computer receives a malfunction code which has information regarding the sensor failure. Initially, the car would face difficulty in starting due to improper timing and fuel adjustment and later the car won’t start at all. However, this could also be due to an electrical fault or a bad connection. Engine misfire occurs when the onboard computer does not receive enough information about the piston position causing the cylinder to misfire. Engine misfire could be due to a faulty crankshaft position sensor or damaged spark plug. Besides facing issues with acceleration at high speed, if you notice your car’s engine stalls at low speed, then the problem is most likely with the crankshaft sensor as it is responsible for ignition timing. Where is the Crankshaft Sensor located? The location of the crankshaft can be different depending on the engine model and manufacturer. The crankshaft sensor is mostly mounted to the engine block above the starter. Typically, it is located on the front of the engine on the timing cover. The diagnostic procedure for checking a bad crankshaft sensor is more effective if you take a multi-level approach. Typically, it will include noting the symptoms and physically checking the condition to make sure that it’s a bad crankshaft sensor that is causing those issues. Here is an effective approach to diagnose the problem of a bad crankshaft sensor. If the check engine light illuminates, it means that the ECU has registered a trouble code. There are many diagnostic codes for various problems and they can be checked using a diagnostic scan tool. If the code lies between P0335 and P0338 it indicates that the problem is with the crankshaft sensor. This is one of the simplest ways to diagnose a problem with the crankshaft position sensor. However, by the time the check engine light illuminates, there would be a number of other issues affecting the engine as well, which is why it is a good practice to adopt other diagnosing technique as well. If you want to read the trouble codes at home you can do it with an OBD2 scanner from Amazon. This technique can also be performed using the diagnostic scan tool. The trick is to read the engine speed in revolution per minute (RPM) and this data is collected from the crankshaft position sensor. Connect the diagnostic scan tool and crank the engine. If the scanner gives a reading between 100 and 500 RPM, then it is working fine. Anything besides that reading indicates a problem with the crankshaft sensor whereas, zero reading suggests that the sensor has failed completely. If you don’t have access to a diagnostic scan tool, you can also test the sensor using a multimeter. A multimeter is used to diagnose electrical components as it reads voltage, current, and resistance. The average replacement cost of a Crankshaft Sensor varies between $115 and $300. The labour cost comes between $40 and $200 while the part itself can cost up to $150. The cost of replacing a crankshaft sensor may vary with the geographical location, the quality of the product, the brand you are using, the type of your vehicle, and the cost of labour involved in the repair. The costs can greatly vary even from shop to shop. If you are getting it fixed with the help of a mechanic or technician, the labour cost will be involved which can range from as low as $40 to as high as $200. The crankshaft sensor cost will greatly vary depending on the company and the model of your vehicle. For most vehicles, it can range from $60 to $150. You should do a little market research to see who is offering the best quality product and services and what is the best price that is being offered. If you are trying to save up on the labour cost it’s a good idea. You can further use the tools and things in your workshop to help you replace it. Here is a quick step by step guide on how you can go about fixing this problem and replacing the crankshaft sensor with a new one for your vehicle. The crankshaft sensor is an essential component of your engine management system without which your vehicle will not function properly. Problems which crankshaft sensors will cause a number of performance issues and other problems related to drivability. 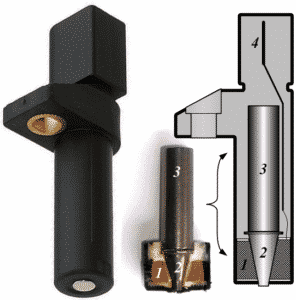 If you are sure about the failure of the crankshaft sensor, the replacement cost for the crankshaft sensor can be reduced by self-installing it easily. However, if the symptoms are persistent and the problem is partly undetected, it is better to get an expert or professional to inspect the condition of your vehicle. ⦁ Do a test drive to check for the performance of the vehicle. Yes it’s actually pretty common that the engine control unit can’t recognize any disorders from the crankshaft position sensor.